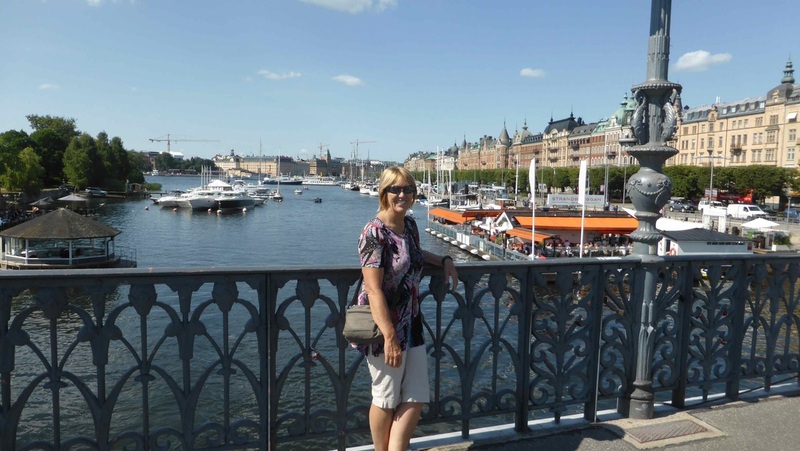 After packing up and leaving the hotel, we did a walking tour of Stockholm, and interesting city, with a lot more waterways than I thought, the whole city is surrounded by it. I was surprised to see a heap of motorhomes parked on a dock in the middle of the city, and it turns out they only have to pay for parking between 8.00 am and 6.00 pm, then they can stay all night, and pay again the next day, so they get to live in the middle of the city for a holiday very cheaply. A good system. We had contacted a guy named Laurens on the HU site, who had offered to host us for the night, so we rode out to his place just out of Stockholm for the night. He is another biker, and we could lock our bikes up in his shed with his. A great host, and a good guy, it was a very enjoyable night. The next morning we headed north, the weather was good, but very cool riding. We looped around Stockholm, and then back to the coast, north to a place called Garvle, then found a track into the forest where we could camp for the night. 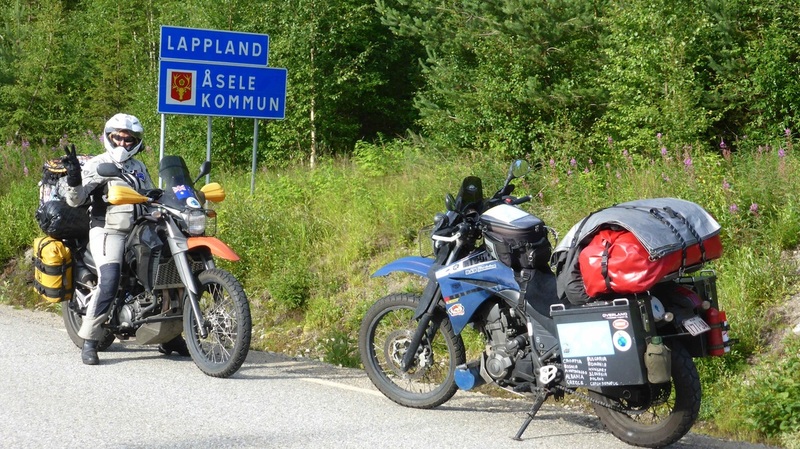 We rode from there up into Lappland, and the town of Fredrika, where we met up with Andrew Field. We had been talking to him for quite a while on Facebook, and he was more than happy to have us stay with him for a few days. He is an ex BMW mechanic, and had got us a new chain and some filters through his contacts in the area. 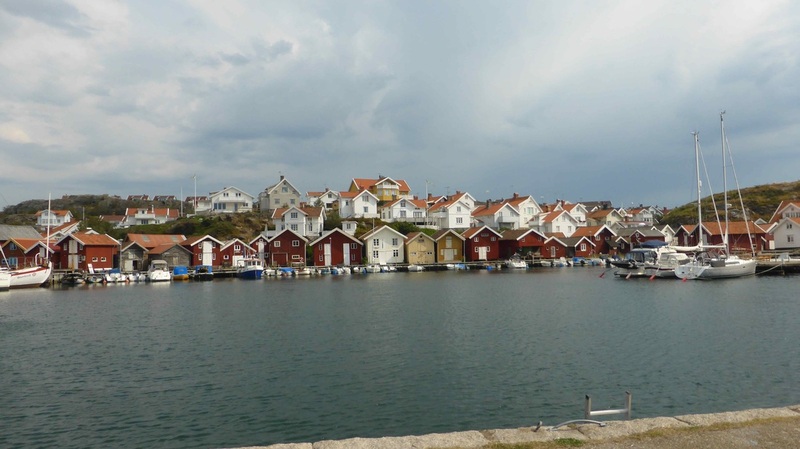 We also took a trip into Umea back on the coast. Among other people there, we met one of Andrews friends, a scotsman named Ian, who lives near a town called Rambo. We stayed there for a night on the way back from Umea. He has some interesting vehicles at his place, including a tracked articulated rescue vehicle. Another couple we met are Aurion and Elizabeth, who took us out on the lake on a raft for a bbq. The rafts are home built, basically a timber platform on two rows of drums, powered by an outboard motor, and with a gas bbq on it. 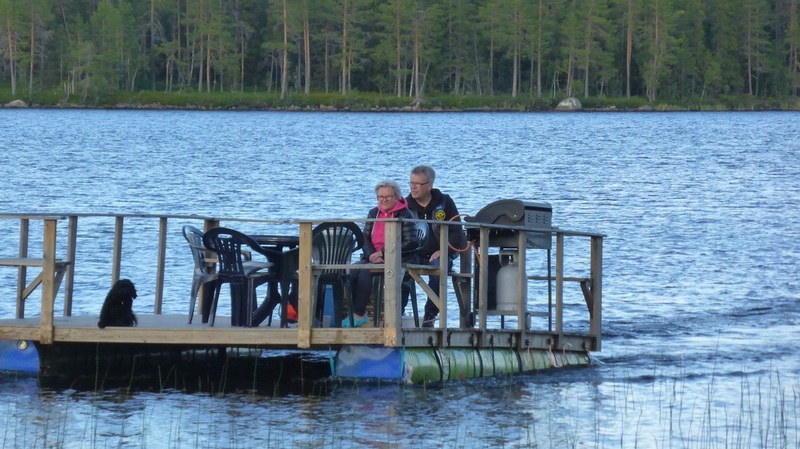 A great idea, and they work well, but the wind got up, and it was too cold and choppy on the lake, so we retired to their house for dinner. We had to try the local delicacy, Surstromming, baltic herrings put into a can where they ferment, often so much that the cans bulge under the pressure. The result is a a really strong smelling slimy fish that makes some people gag just from the smell! Lyn and I both tried it, but I think it's one of those tastes you need to acquire! Glad there was some pork to fall back on! Another great night, and both Lyn and I are now members of the London Frederika Motor Cycle Club. A couple of days spent catching up with washing and bike maintenance, and having a few laughs with Andrew. 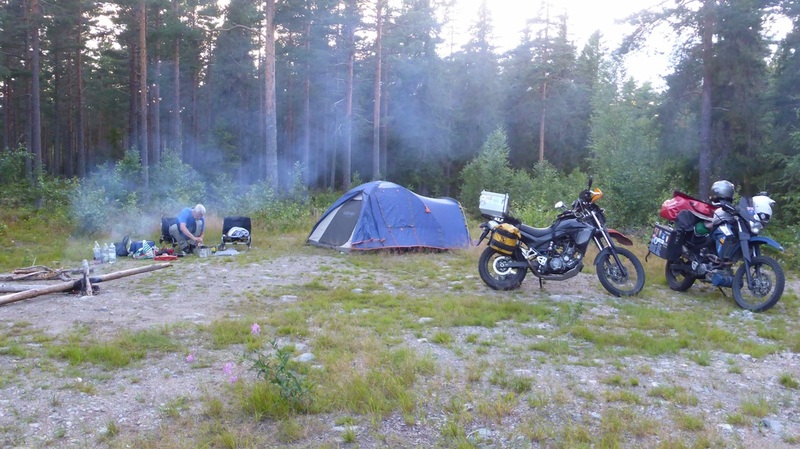 He is looking at starting up Lappland Motocamp, a great idea in a beautiful spot, he has all the right things, including a workshop, and it should go well for him, anyone looking at going up to Nordkap or the Arctic Circle should call in on the way through. It was time to keep moving, and we got away around 11.00am, riding through darkening skies to Tarnby. It got colder as the day went on, and when it started to drizzle with rain it was bloody freezing. We had planned on wild camping, but with the weather the way it was we ended up getting a cabin in a campground. It had a heater in it too, winner! Lyn prepared some some mac and cheese in a bag in the camp kitchen, and that's where we met Per and Monica, from Hoganas, south of Gothenberg. 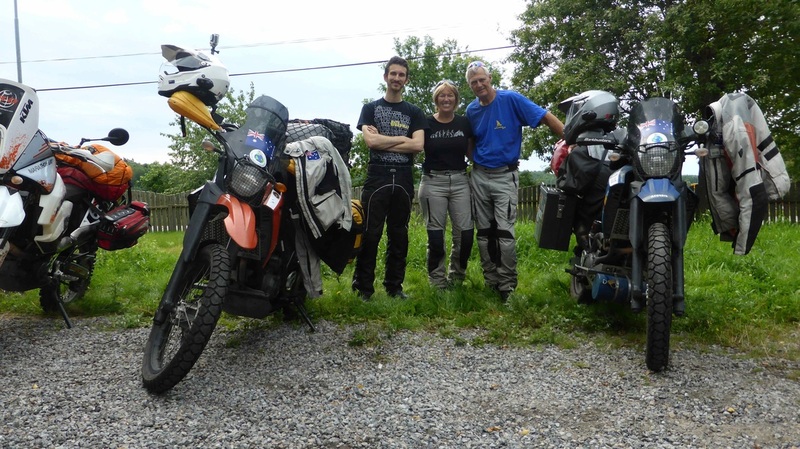 They were travelling in a motorhome, and we had a good chat with them. A little while later they knocked on the door of our cabin, and presented us with a plate of pancakes, complete with syrup, what a great present, thanks guys, they went down a treat! We caught the ferry OK for the 2.5 hour trip to Stromstad, then rode the 170 klms down the coast to Gothenburg, to meet up with Hakan and Thomas, the two guys we met up with on the ferry from Albania to Corfu a few months ago. 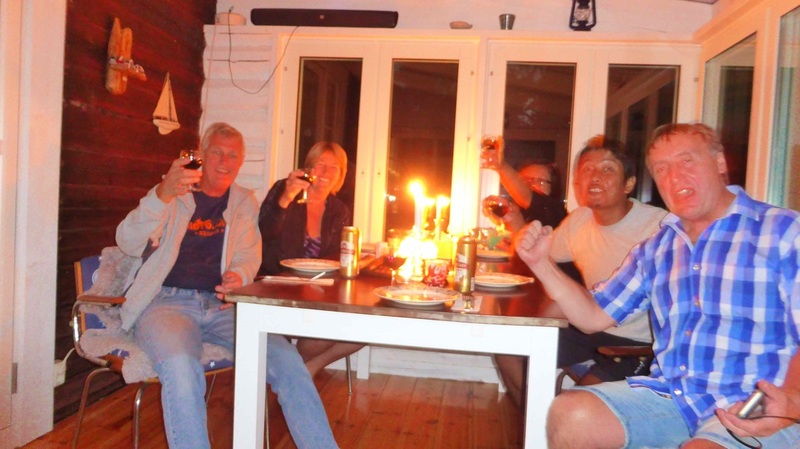 They had generously invited us to stay with them while we were in Gothenburg, and we were looking forward to catching up again. Hakan lives in an apartment near the middle of the city, and he had some friends from India, Sampton and Karen, staying with him also, so it was a full house. 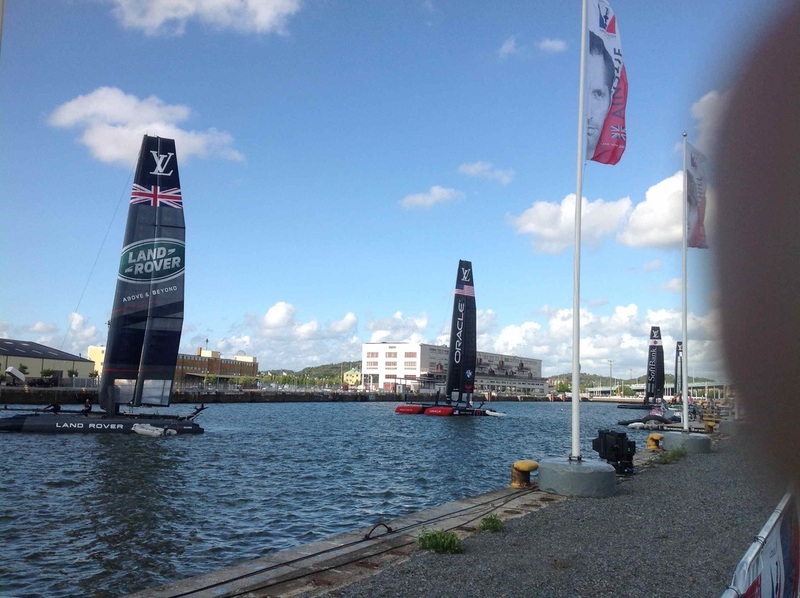 The time spent with Hakan went too quickly, sightseeing around Gothenburg, checking out the Americas Cup boats which were there at the time, and a night at the ice hockey. Thomas took us up to his summer house on the island of Orust, north of Gothenburg, for a night, along with Sampton and Karen, a great night that involved lots of wine and some dancing on the table, and sore heads the next day. There was a bit of bike maintenance as well, as I had to replace the sprockets and chains on both bikes while I was there. Hakan, Sampton and I were going to watch the Cup boats sailing, but we managed to lose Hakan on the tram and got off at the wrong stop, with no idea where we were, so that finished that. By the time we got home it was all over! One of Hakan's friends is an upholsterer, and he did a terrific job fixing my riding pants, that had burnt through from being too close to the exhaust for too long. Thanks heaps for that! Lyn and I had a fantastic time in Gothenburg, and hope one day we can repay the hospitality that was shown to us. Thanks heaps, Hakan and Thomas, we had a blast, and look forward to catching up again one day. A small coastal village north of Thomas' summer house, looks like a post card setting. 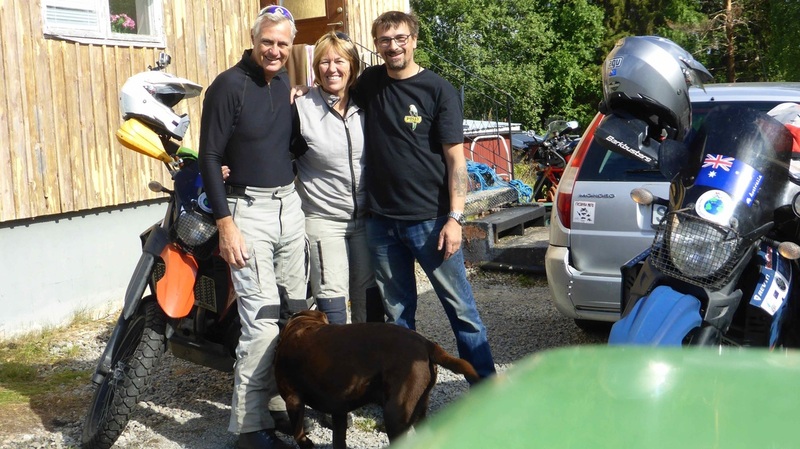 After a lot of heartfelt goodbye's, we headed south to Hoganas, where we were catching up with Per and Monica, the couple we met in Tarnaby near the border with Norway. They had invited us to stay with them for a night, and had invited another couple over to meet us as well. 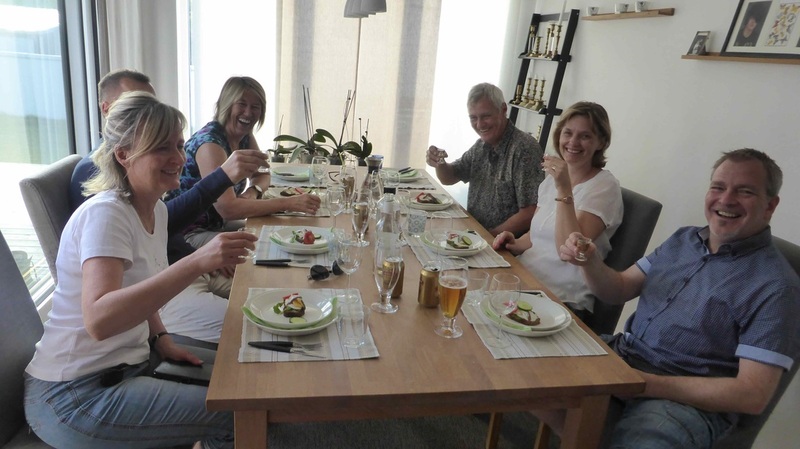 We sat down to a traditional Swedish meal, and it was terrific. We did have a couple of wines, played "Sequence", and generally had a great night. With Per & Monica and friends, another great night. The next morning Per and Monica took us for a tour around the town, harbour, then out to the lighthouse at Kullaberg, where we had a light lunch. 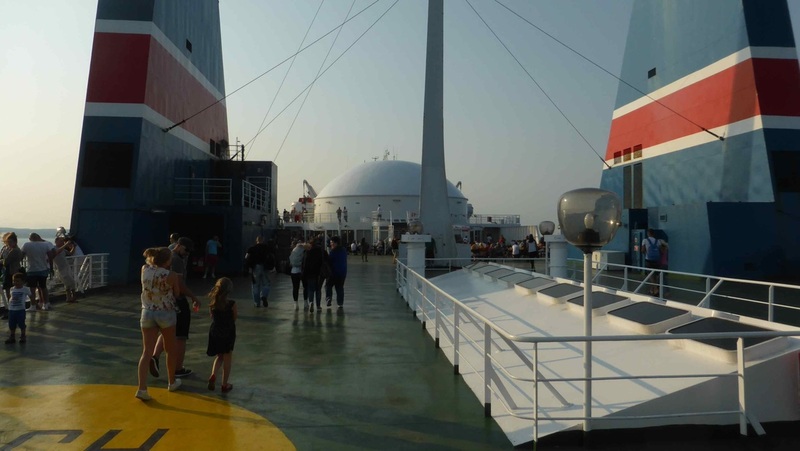 We had planned to cross over to Denmark, so headed off about 4.00 pm. 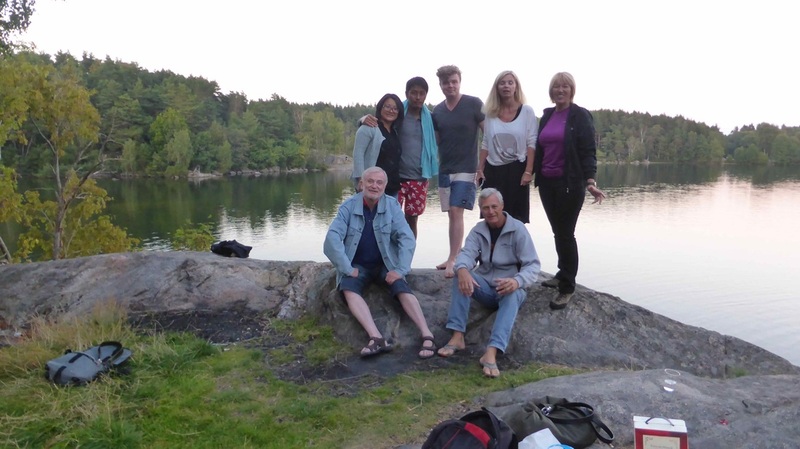 Sweden had been fantastic, with friendly genuine people, unreal hospitality, and beautiful scenery. 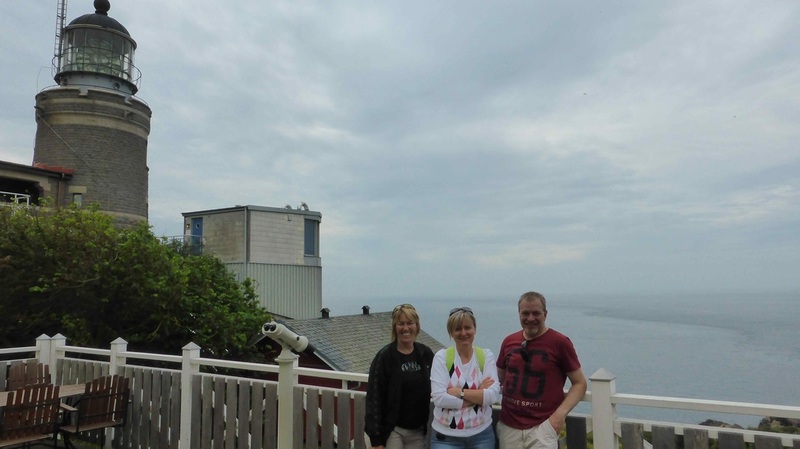 Lyn and I both loved it, and rate it and Norway as two of the best countries we have visited.